Side 1: Odds And Ends; Orange Juice Blues (Blues for Breakfast); Million Dollar Bash; Yazoo Street Scandal; Going To Acapulco; Katie's Been Gone. Side 2: Lo! And Behold; Bessie Smith; Clothes Line Saga; Apple Suckling Tree; Please Mrs. Henry; Tears Of Rage. Side 3: Too Much Of Nothing; Yea! 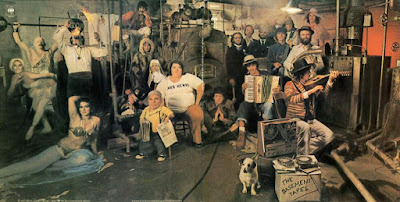 Heavy And A Bottle Of Bread; Ain't No More Cane; Crash On The Levee (Down In The Flood); Ruben Remus; Tiny Montgomery. Side 4: You Ain't Goin' Nowhere; Don't Ya Tell Henry; Nothing Was Delivered; Open The Door, Homer; Long Distance Operator; This Wheel's On Fire. 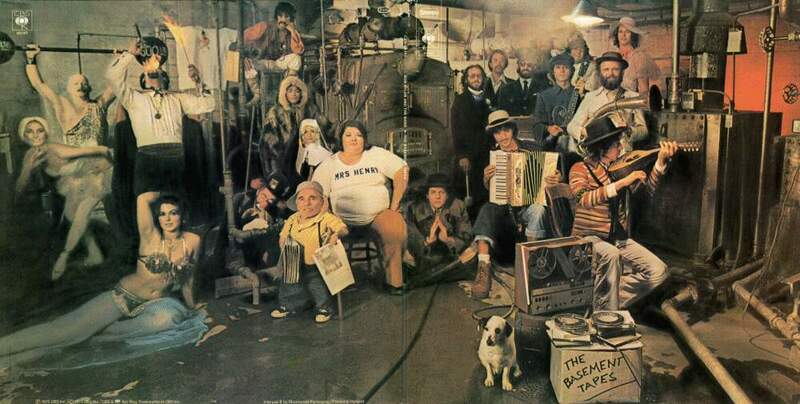 “Beneath the easy rolling surface of The Basement Tapes, there is some serious business going on. What was taking shape, as Dylan and The Band fiddled with the tunes, was less a style than a spirit -- a spirit that had to do with a delight in friendship and invention.